Franklin Matters: "I wanted to be an example of hard work and perseverance for my daughters. "I wanted to be an example of hard work and perseverance for my daughters. "Karen Laven felt stuck in her job and as a mother of two. She wanted to be a role model for her two daughters and pursue the dreams she had once set aside to raise a family. She wanted to make it up “the mountain,” she said. 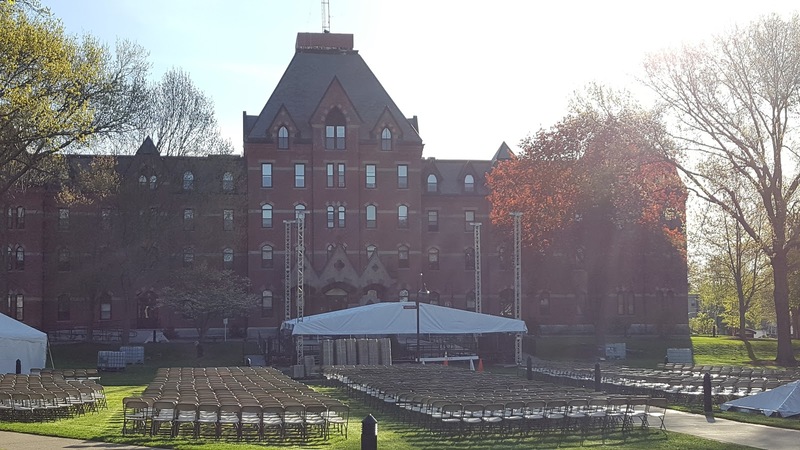 And on Saturday, standing before hundreds of her fellow Dean College graduates and a rain-enduring crowd, the business management student was surely, finally, at the top."